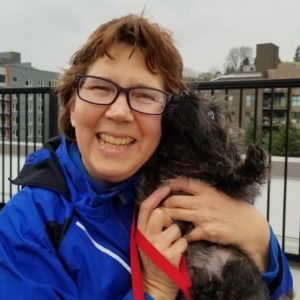 My name is Darby and I grew up on Mercer Island and we had dogs ever since I was young. I have always loved dogs and love to walk them. It is so refreshing to walk and enjoy the outdoors. They are such good companions, lovable, and unconditional love! I live in the Green Lake area, and I have a daughter and two sons. Our family has two dogs (jack russell and black lab mix of rottweiler and shepherd). It’s a pleasure walking all the variety of dogs, and their different personalities.